The Cheltenham Festival brings a number of special trains to the area during mid March, especially on Gold Cup day. 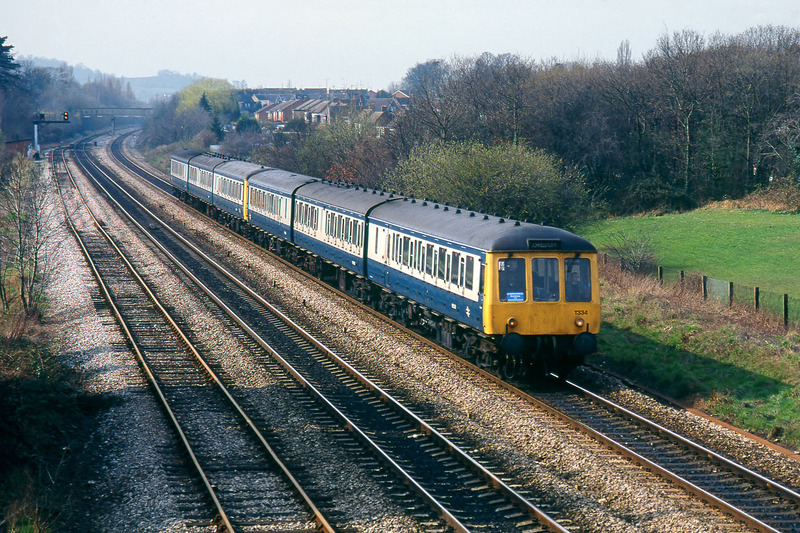 At one end of the scale are the Pullman services, and at the other end in the 1980s were the DMU extras. This is clearly one of them, although it is not possible to make out anything other than 'Express to Cheltenham' on the makeshift headboard. Tyseley set T334 (51136, 59596 & 53054) leads a similar set on the approach to Cheltenham station from the south on 17 March 1988. The Lichfield City destination is a red herring!